“I wanted to make it a neighborhood gathering spot – to have that homey feel like when you step into someone’s living room…” Harding Lee Smith (chef and owner of The Front Room Restaurant & Bar, The Grill Room & Bar, The Corner Room Kitchen & Bar and The Boone’s Room ) is a Mainer by birth. Once he graduated from Portland’s Deering High School, Harding left Maine to experience the rest of the world. 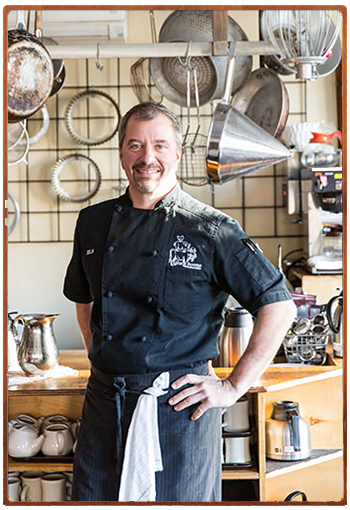 After earning a Bachelor of Science degree from Boston University, he moved to the San Francisco Bay area and attended the Culinary Institute of America’s West Coast campus in Napa Valley.